During my StyleCon Asia Manila experience I received a loot bag containing amazing products from generous sponsors of the event. 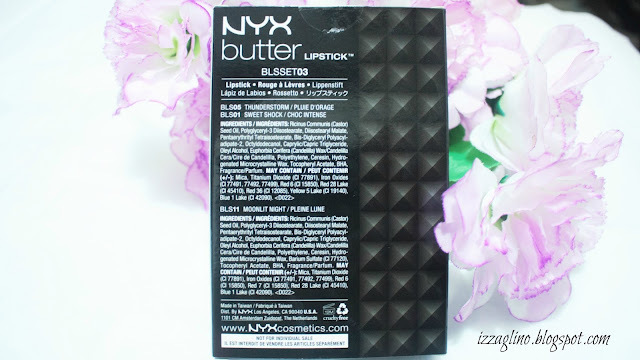 One that really caught my attention was the 3-piece set of NYX Butter Lipsticks that comes in a nice black box. I have owned a NYX lip product before but only their round lipsticks so seeing this new bullets made me extremely happy. 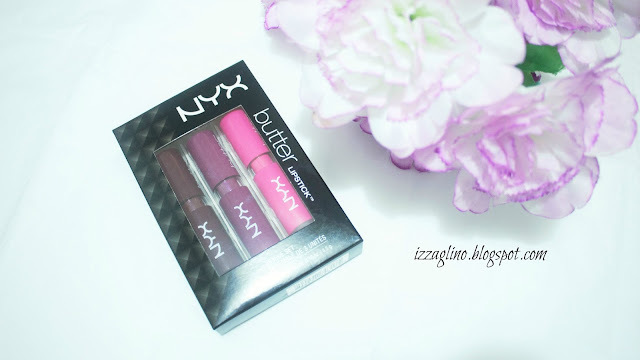 Today I'd like to give you a haul, swatch and quick review of each lip NYX Butter Lipsticks. Know that NYX makeup is already in the Philippines and you can find their stores at selected department stores nationwide. The NYX Butter Lipsticks comes in 22 shades and I got mine in Thunderstorm (BLS05), Sweet Shock (BLS01) and Moonlit Night (BLS11). I love that I got a pink shade, a wearable burgundy red and a darker shade too. 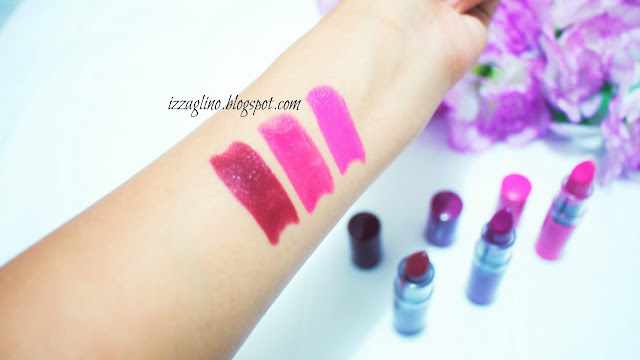 I actually played with the lipsticks already since I got them. Very pigmented. Full coverage upon application. Legit buttery lipstick that feels like it melts on the lips. Luxurious satin finish that can make you look more put together. Doesn't last longer than 3 hours. 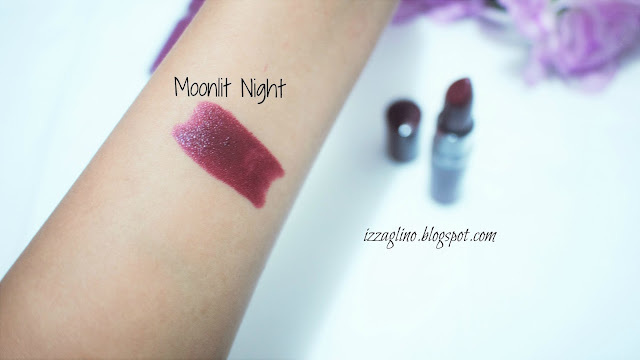 You can apply directly on bare lips or on top of a completely lined lips with the same color shade for better effect. 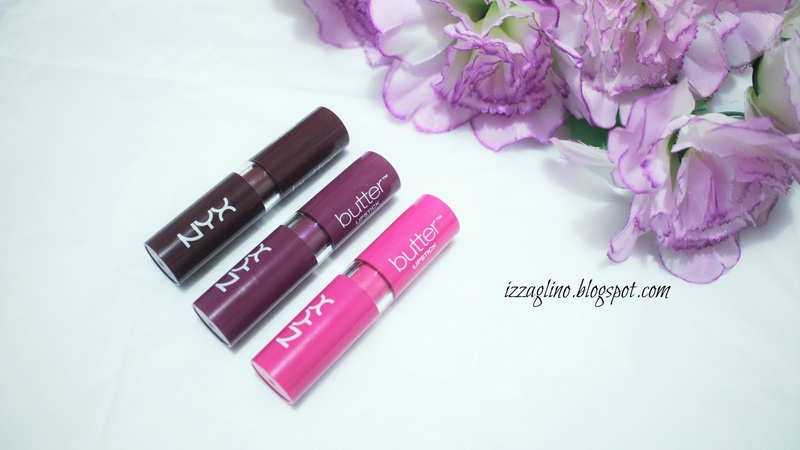 As a first time owner of the NYX Butter Lipstick line I was surprised by how good the product is on the lips. 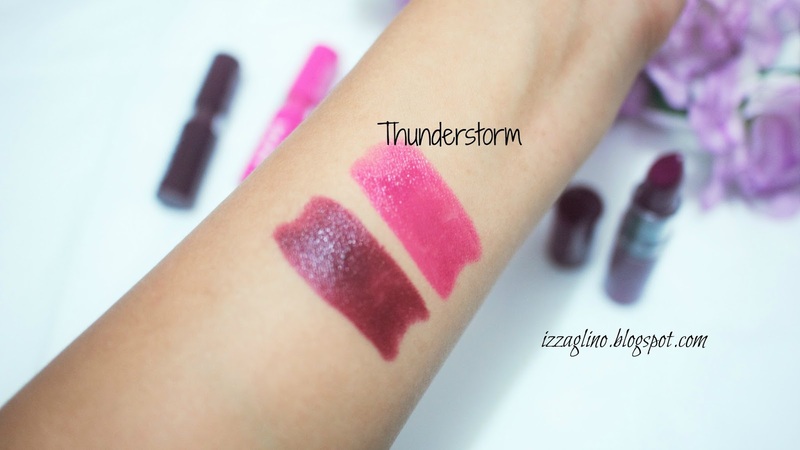 I always get an instant attention especially if I wear the darkest of the three, Thunderstorm, which by the way is my favorite. 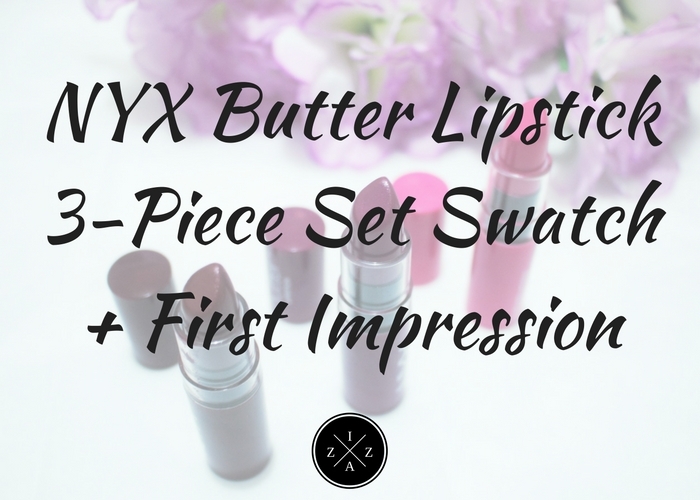 I have never experienced such an easy and buttery application when it comes to lip product so a big thumbs up to NYX for a great formula. This lipstick is not meant for a whole-day/event look or even a night out. 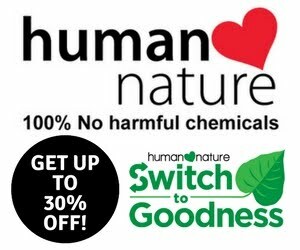 It lasts for less than two hours and few minutes if you eat oily food. 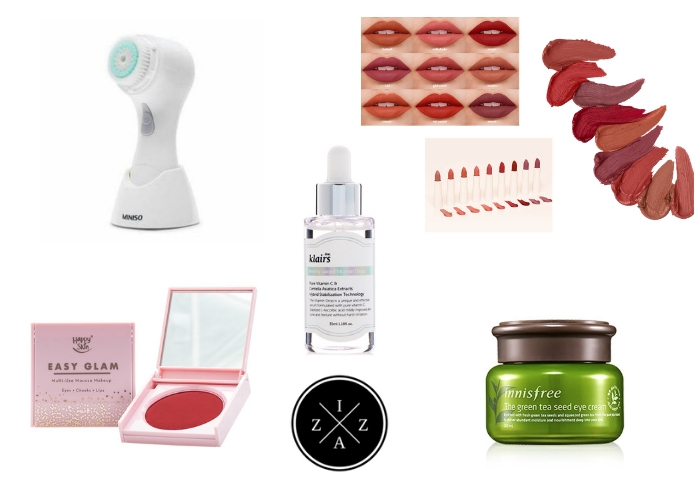 I found myself reapplying if ever I really wanted to have a pop of color on my lips. If not I just moisturize my lips with a lipbalm and seal the left-over tint. 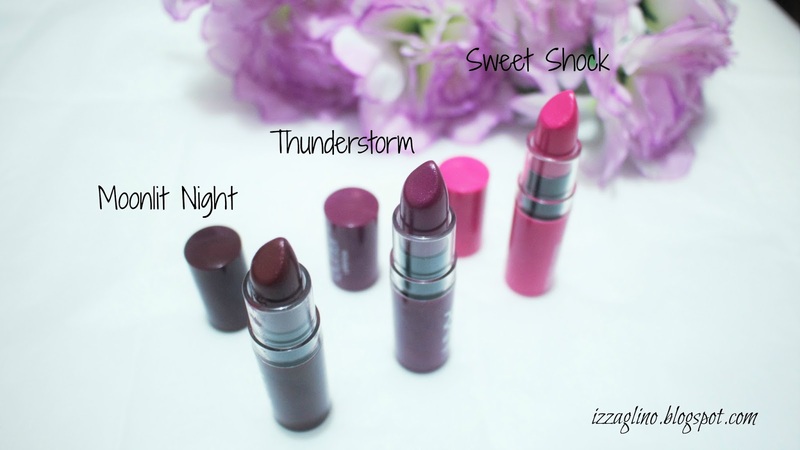 The packaging of each lipstick is nice because you get a picture of the shade at a glance. 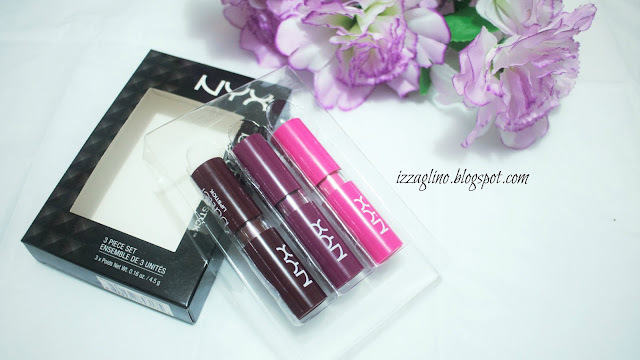 Owning these make me want to buy other lip products from NYX to grow my makeup collection. Such value for the price. The set retails for 899pesos upon my research. I hope you like this post. 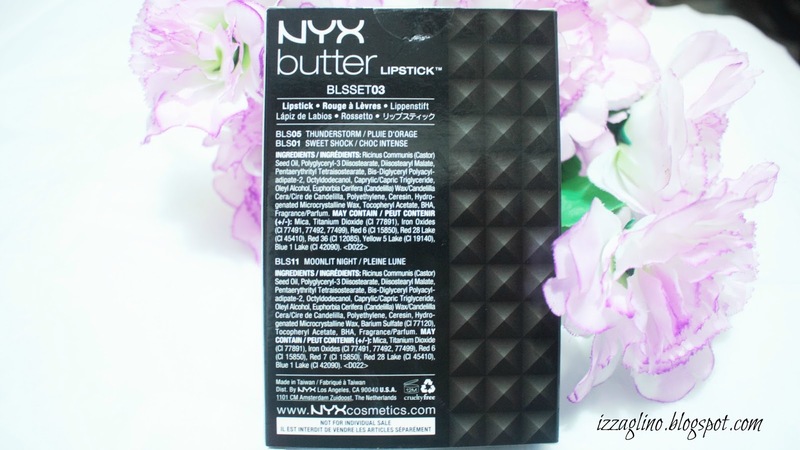 Do you own a NYX Butter Lipstick? Do you agree with my first impression?